Emory Saint Joseph's Hospital has earned The Joint Commission's Gold Seal of Approval® for Hospital Accreditation by demonstrating continuous compliance with its performance standards. The Gold Seal of Approval® is a symbol of quality that reflects an organization's commitment to providing safe and effective patient care. 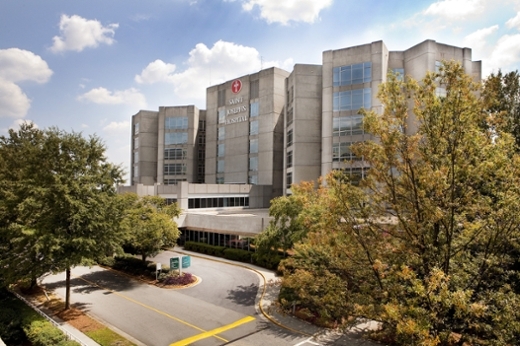 Emory Saint Joseph's underwent a rigorous, unannounced on-site survey in April 2015. During the review, a team of Joint Commission expert surveyors evaluated compliance with hospital standards related to several areas, including emergency management, environment of care, infection prevention and control, leadership and medication management. Surveyors also conducted on-site observations and interviews. "Emory Saint Joseph's is pleased to receive accreditation from The Joint Commission, the premier health care quality improvement and accrediting body in the nation," says Dane Peterson, interim CEO of Emory Saint Joseph's Hospital. "Staff from across the organization continue to work together to develop and implement approaches to improve care for the patients in our community." The Joint Commission has accredited hospitals for more than 60 years. More than 4,000 general, children's, long-term acute, psychiatric, rehabilitation and specialty hospitals currently maintain accreditation from The Joint Commission, awarded for a three-year period. In addition, approximately 360 critical access hospitals maintain accreditation through a separate program. "Joint Commission accreditation provides hospitals with the processes needed to improve in a variety of areas from the enhancement of staff education to the improvement of daily business operations," says Mark G. Pelletier, RN, MS, chief operating officer, Division of Accreditation and Certification Operations, The Joint Commission. "In addition, our accreditation helps hospitals enhance their risk management and risk reduction strategies. We commend Emory Saint Joseph's for its efforts to become a quality improvement organization." The Joint Commission's hospital standards are developed in consultation with health care experts and providers, measurement experts and patients. The standards are informed by scientific literature and expert consensus to help hospitals measure, assess and improve performance.